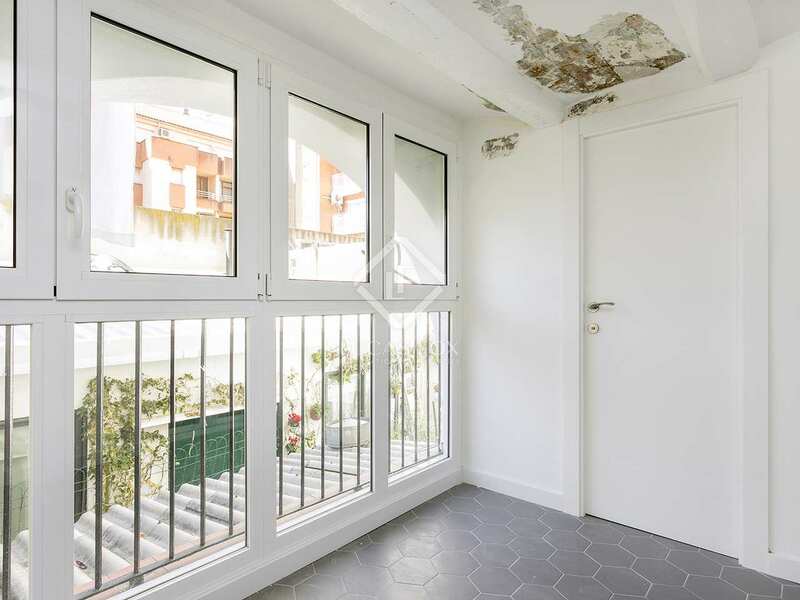 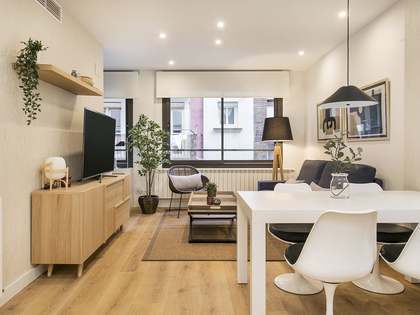 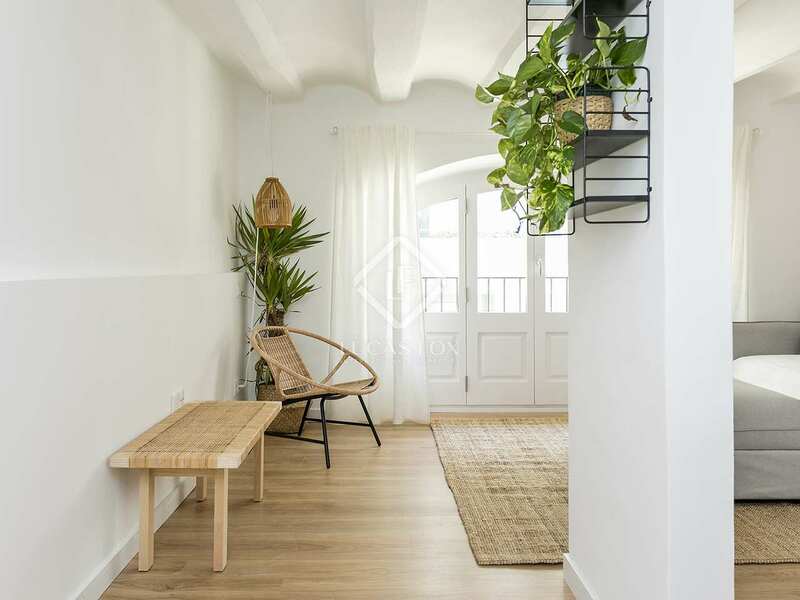 Welcoming, fully renovated and furnished property for rent in the Sants neighbourhood of Barcelona. 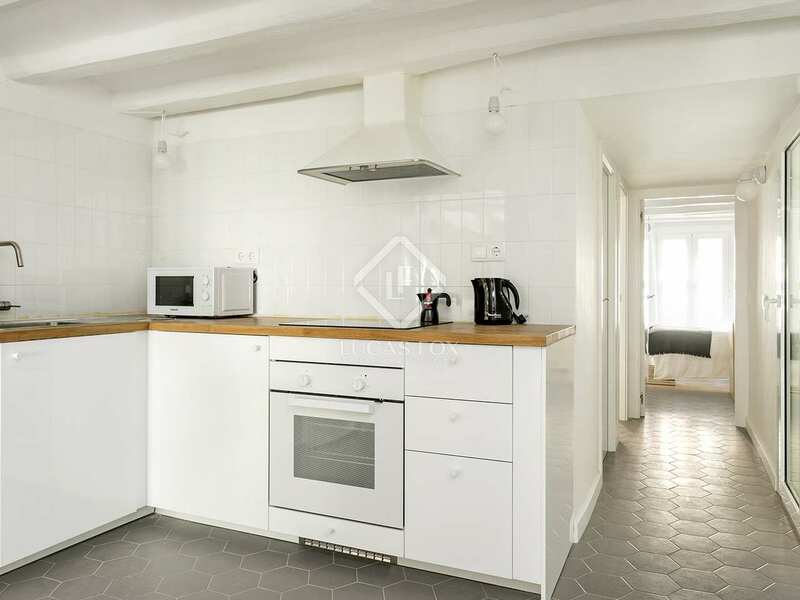 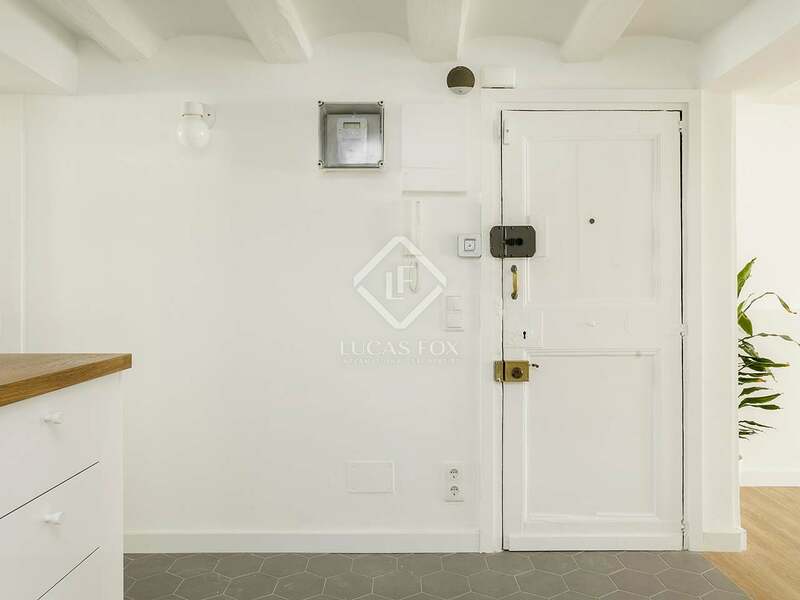 This 78 m² apartment is ready to move into and is available for rental periods of 6 to 8 months, WiFi is included in the price. 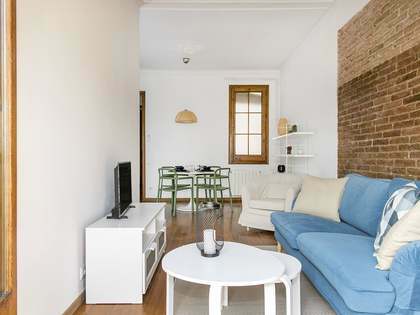 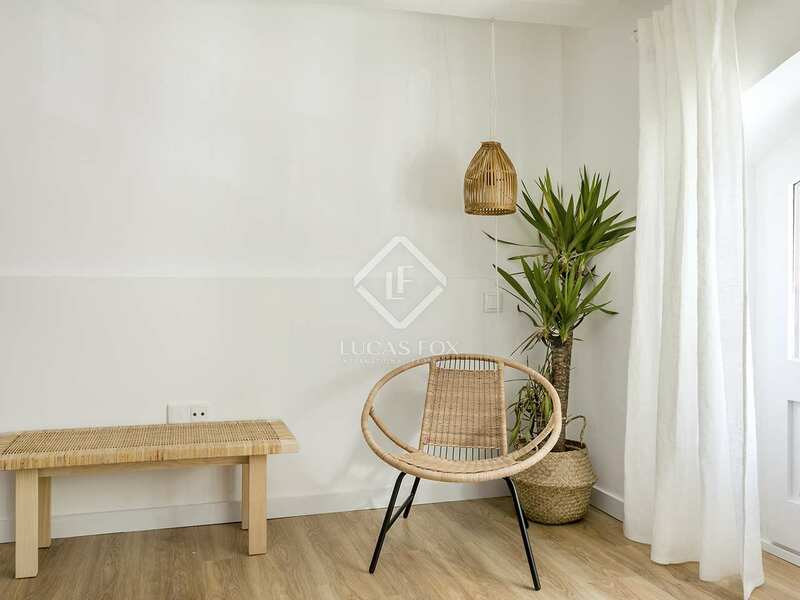 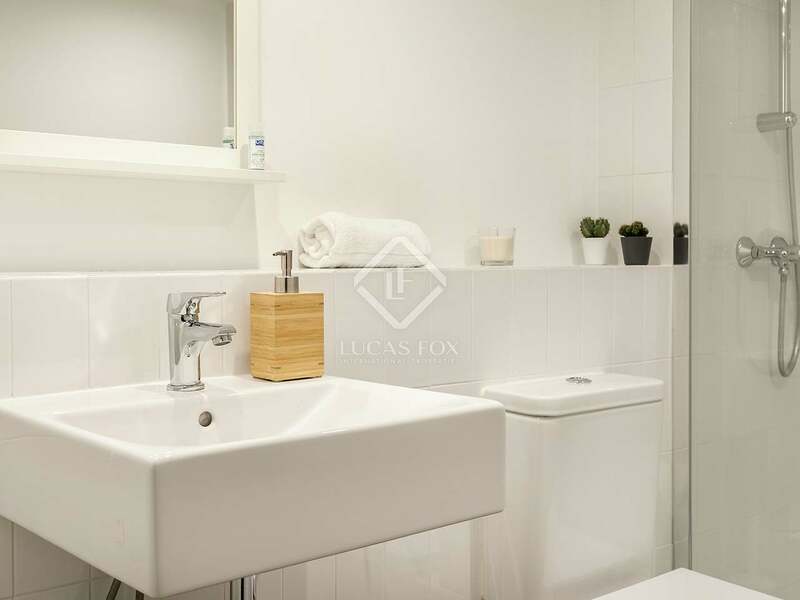 The apartment is located in the neighbourhood of Sants and is very well connected, just 3 minutes from Tarragona metro station (green line), 5 minutes from Barcelona-Sants train station and a 5-minute walk from Plaça d'Espaya. 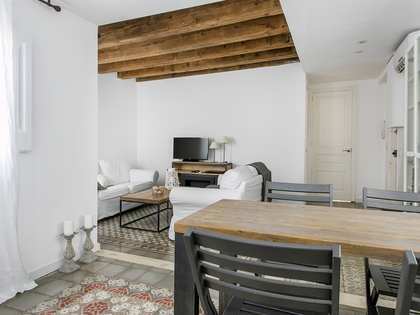 The property has been fully renovated whilst maintaining the original ceiling vaults and wooden beams. 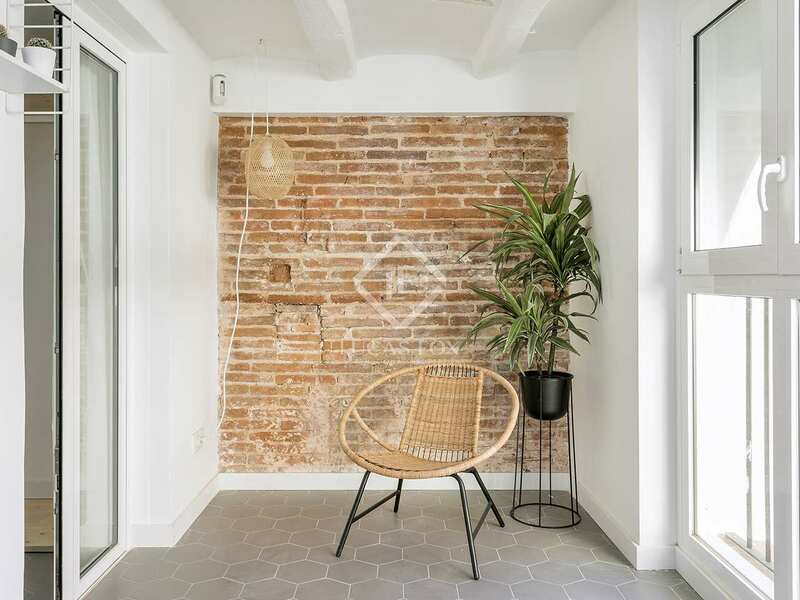 Exposed brick walls preserve the charm of a traditional Barcelona building whilst the floors are a combination of wooden and hexagonal porcelain flooring. 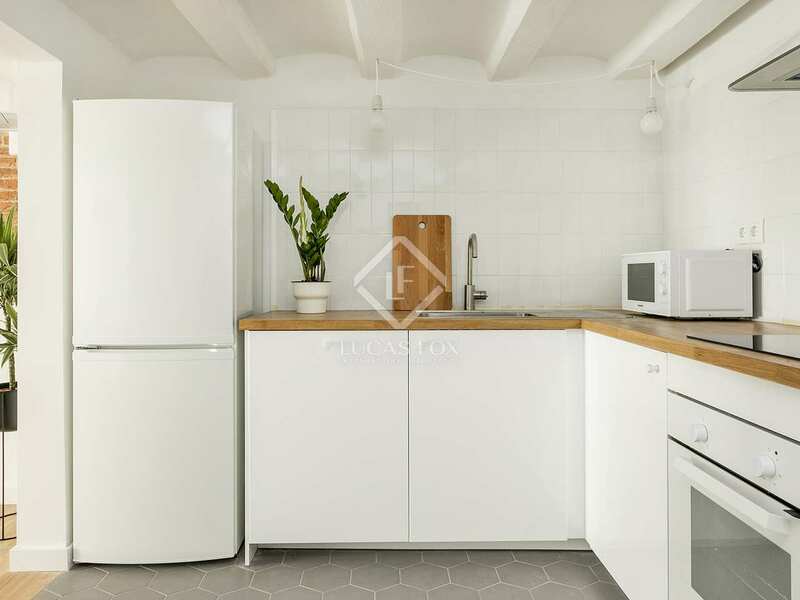 We access the apartment into the kitchen, fully equipped with high quality appliances: fridge-freezer, microwave, oven, hob, extractor hood and dishwasher. 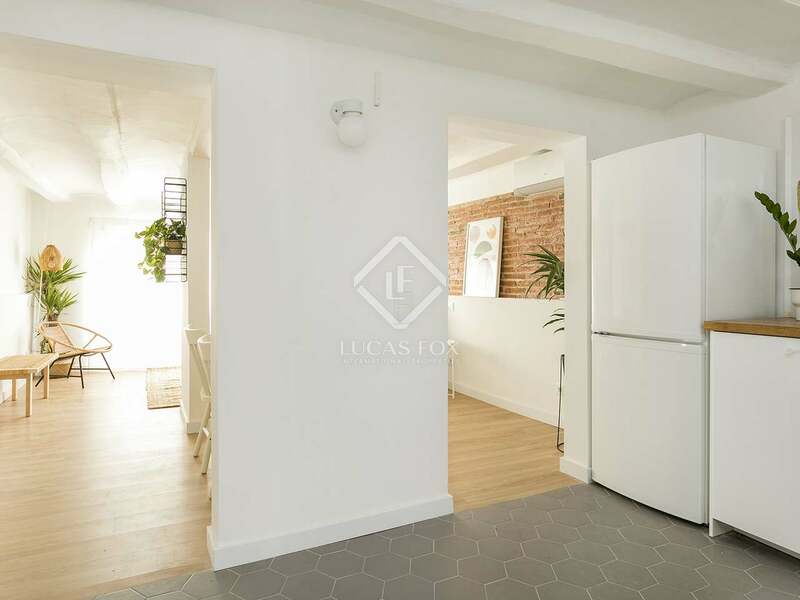 The living-dining room is to the left of the kitchen, this bright space has hot/cold air conditioning. 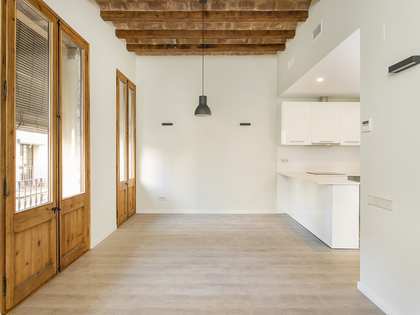 A central column separates the kitchen from the living-dining area and the original window has been replaced by a large wooden window with double glazing to maximise light. 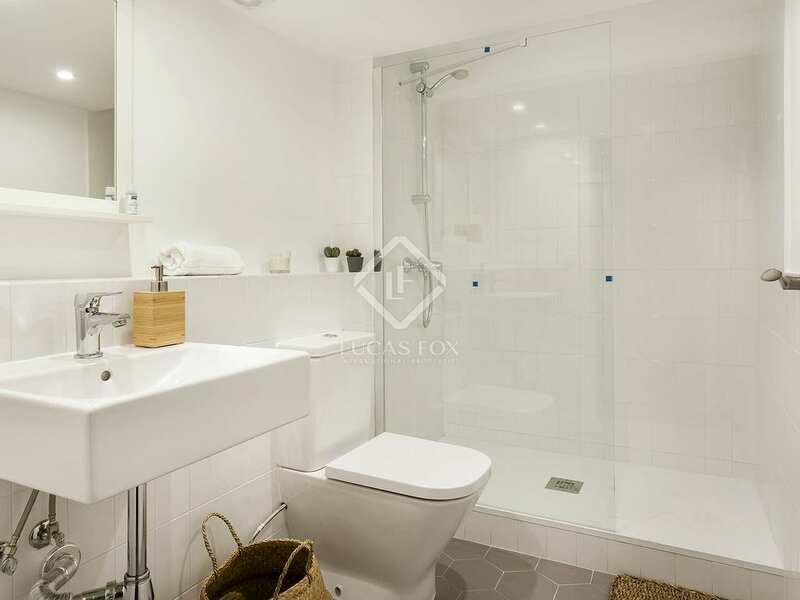 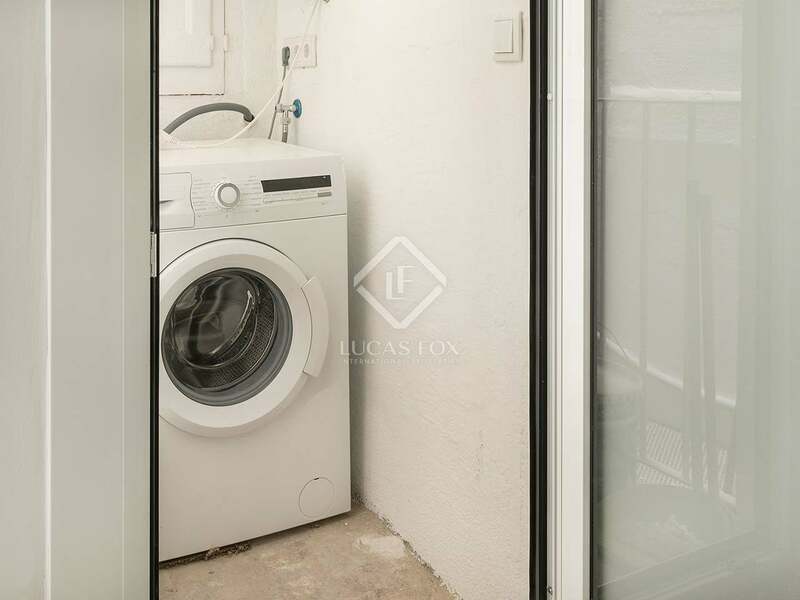 On the other side of the kitchen a corridor divides the day and night areas, there is a complete bathroom and a small utility room with electric boiler and pre-installation for a washing machine. 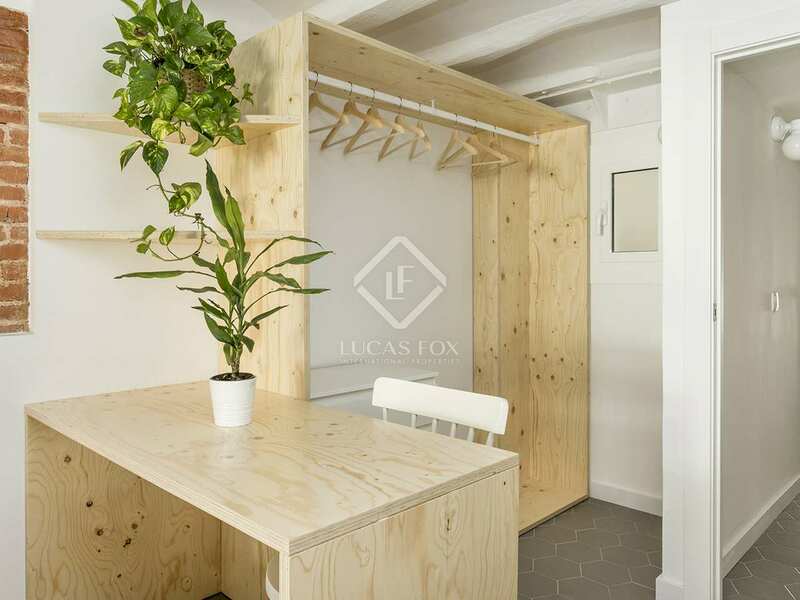 The 2 double bedrooms have very similar dimensions and both have hot/cold air conditioning, open wardrobes and bespoke, natural wood desks. 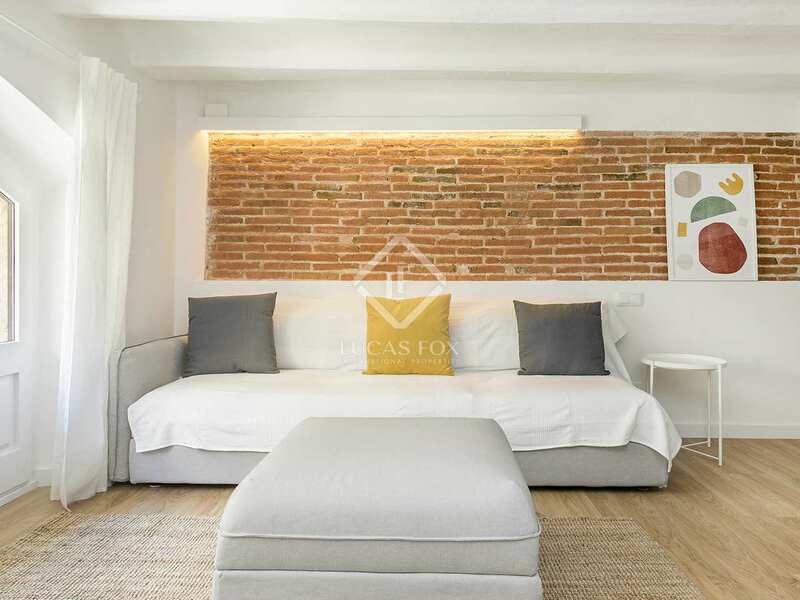 Both bedrooms open onto a spacious gallery with a toilet and a large window that allows ventilation and an abundance of natural light to enter. 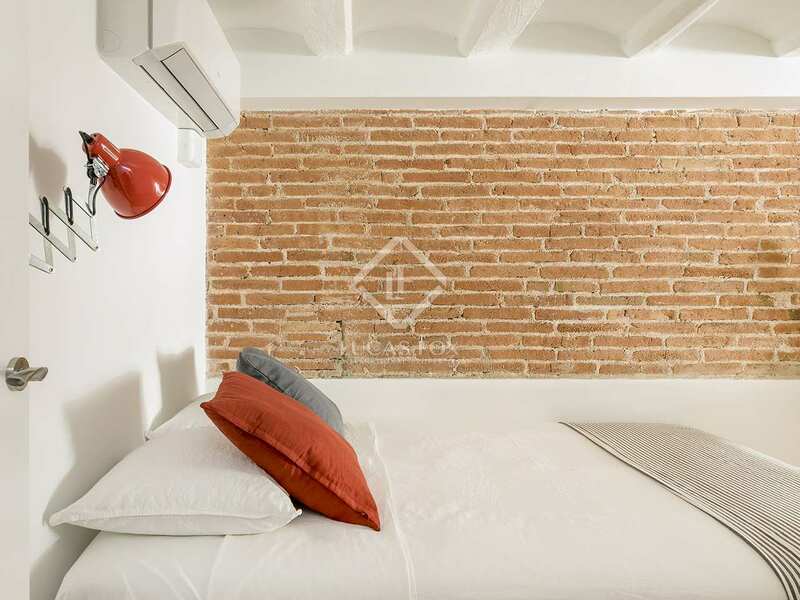 All installations are fully renovated and the apartment is furnished and equipped. 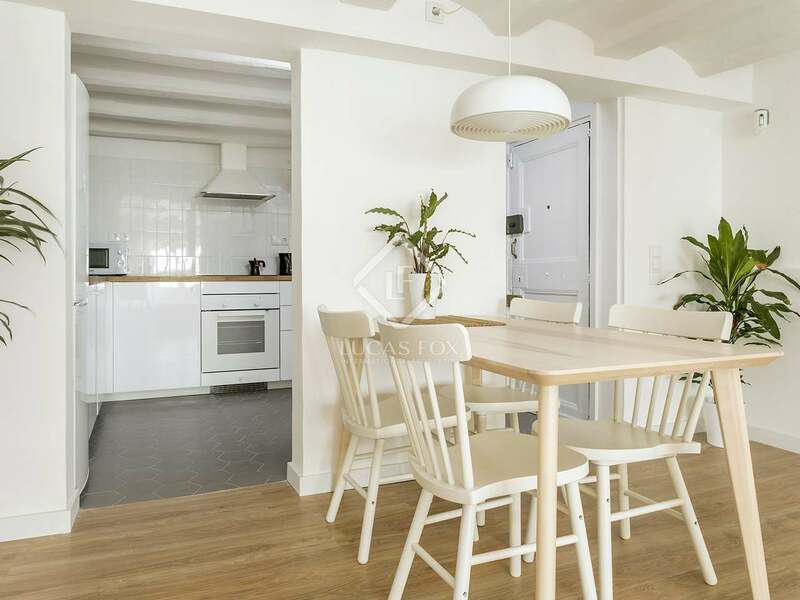 High speed WiFi is included in the price. 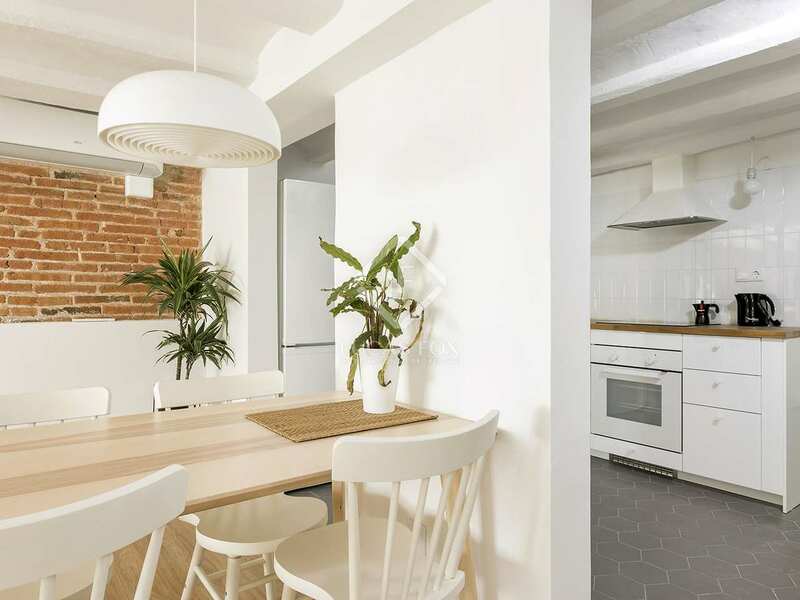 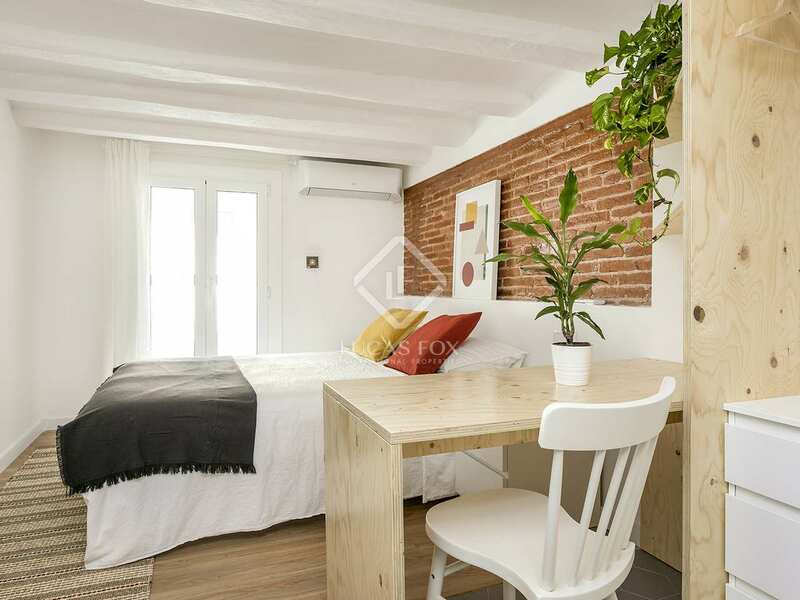 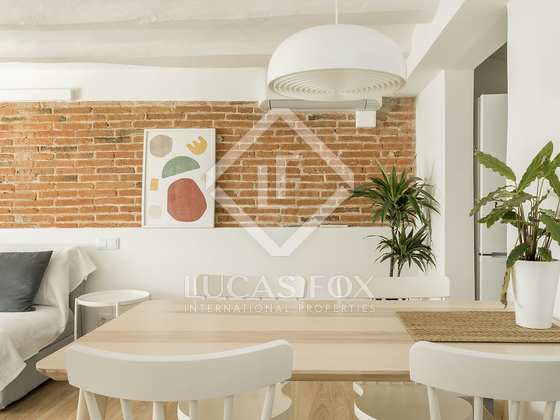 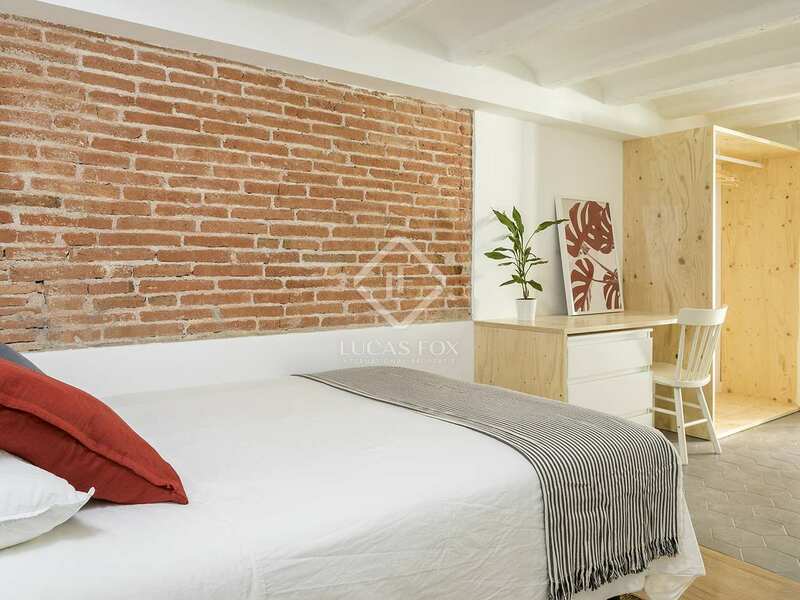 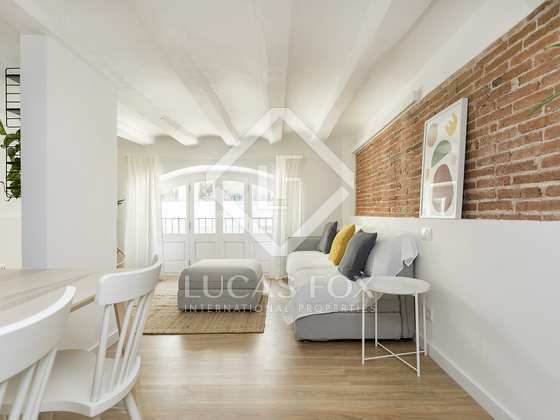 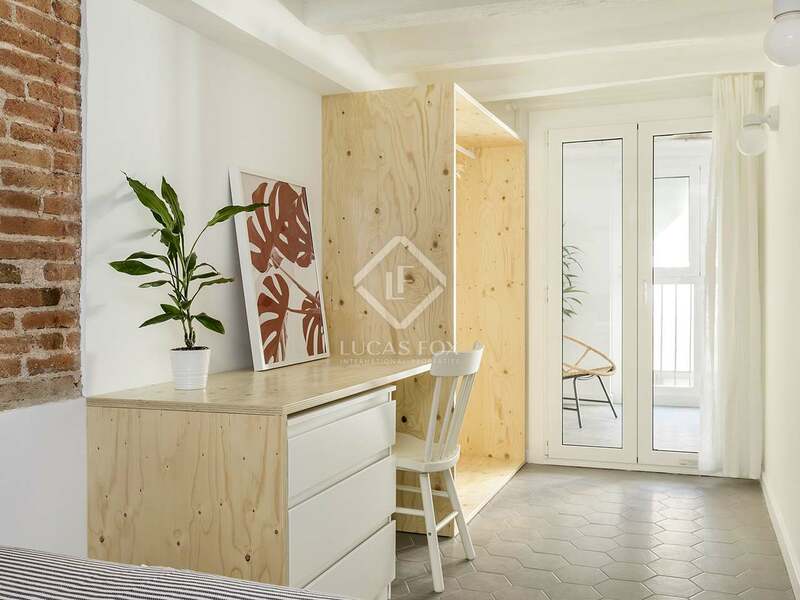 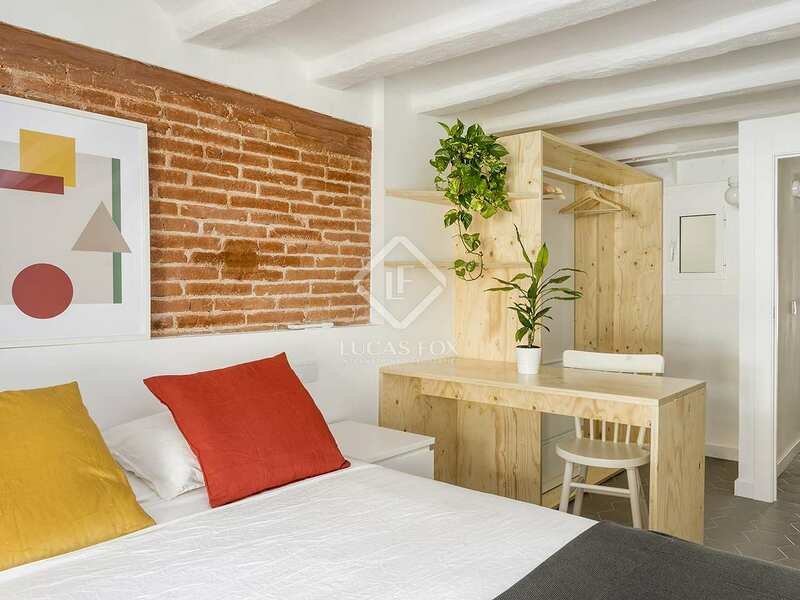 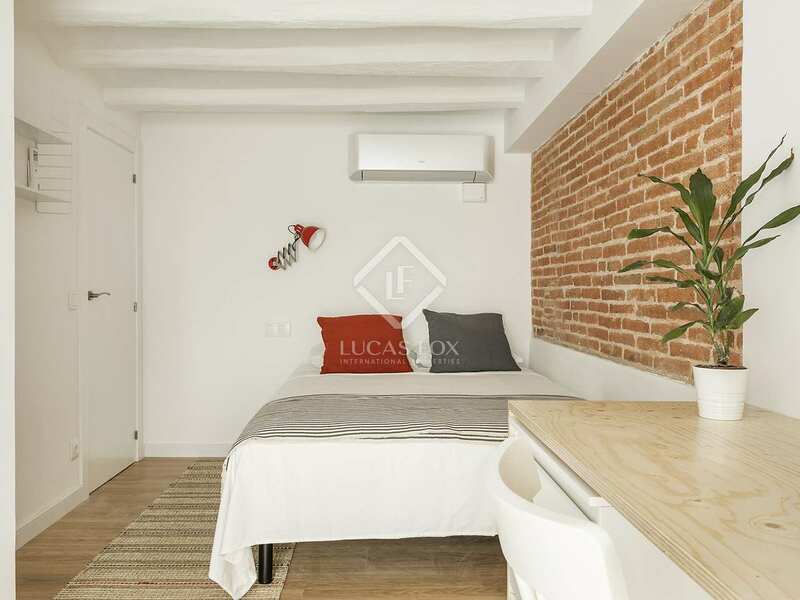 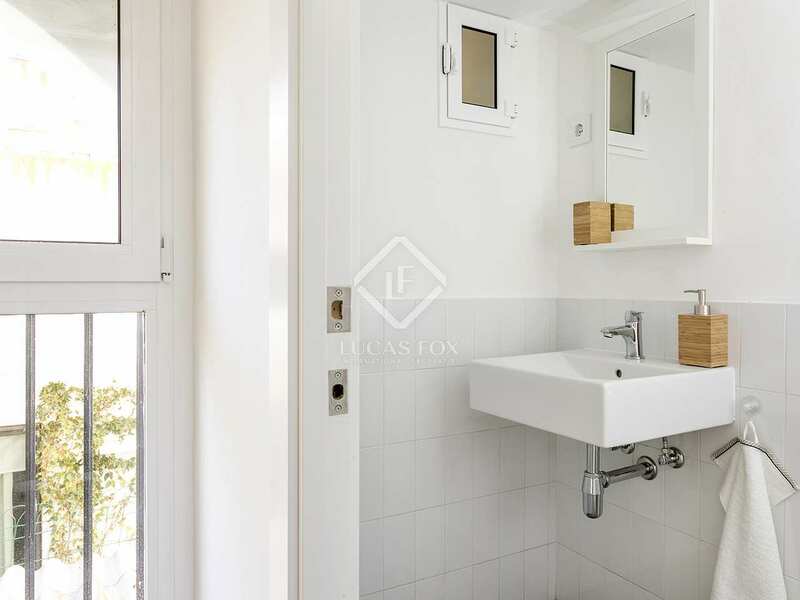 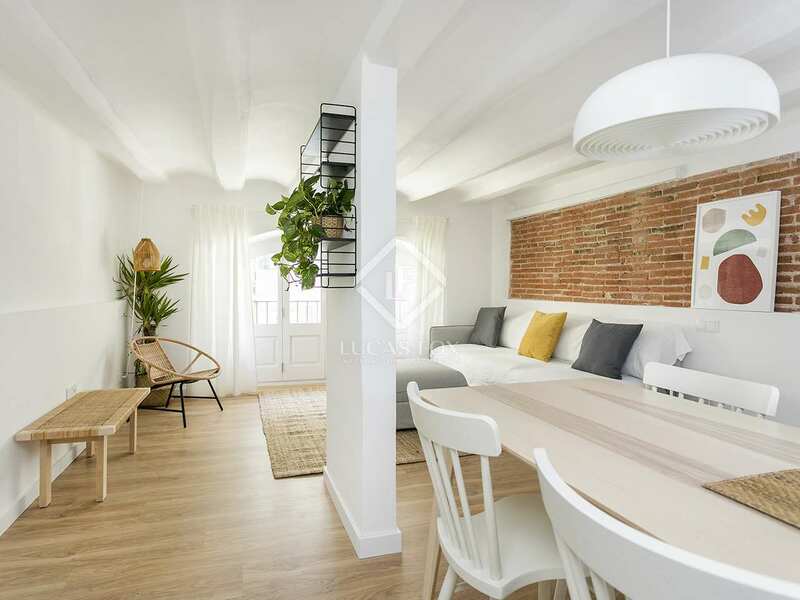 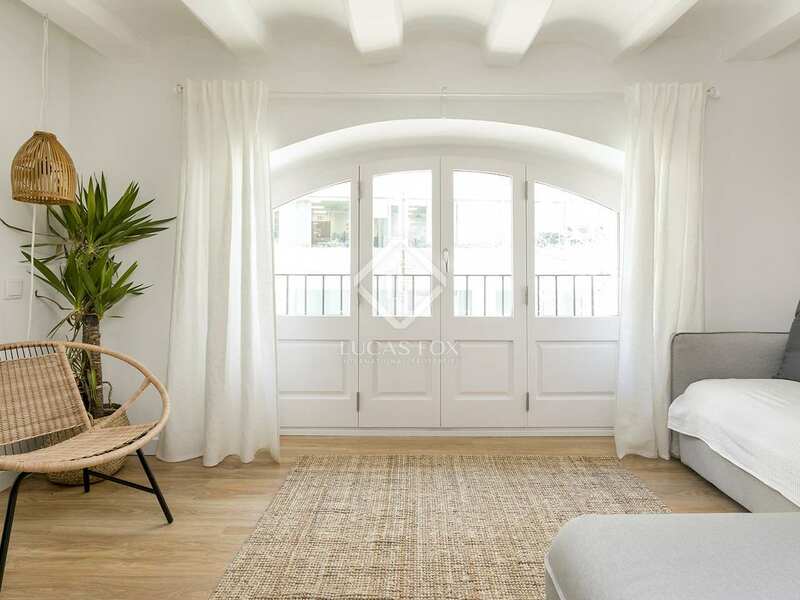 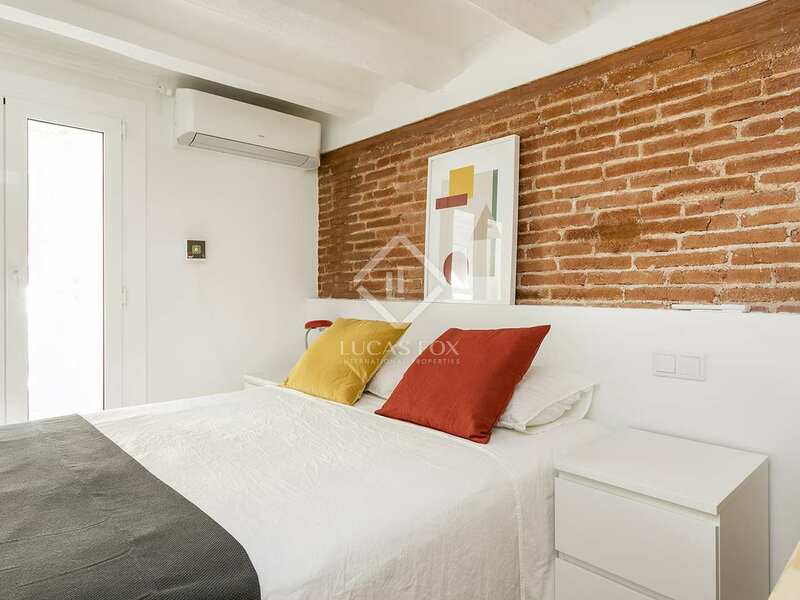 This property enjoys an excellent location in Sants, a traditional neighbourhood in Barcelona with a local atmosphere. 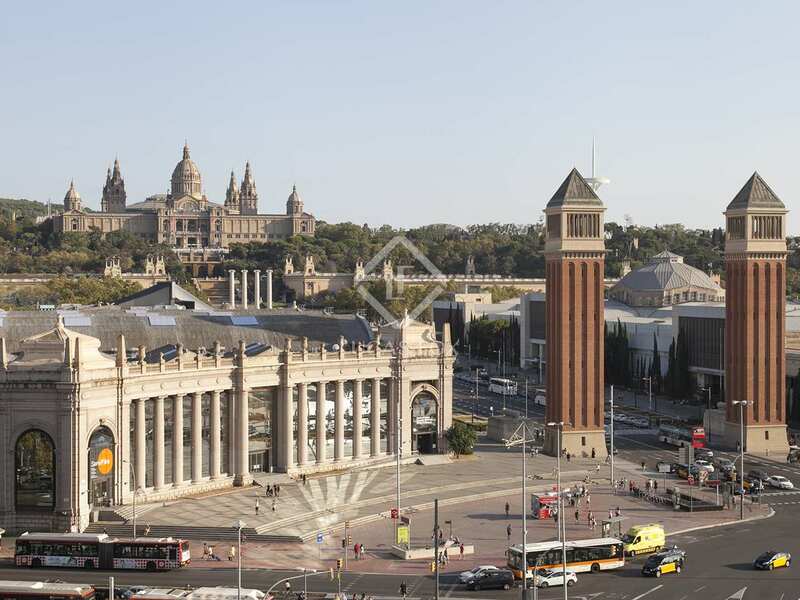 Sants offers all the services and amenities needed for everyday living such as supermarkets, a wide range of shops, schools, health services, among others. 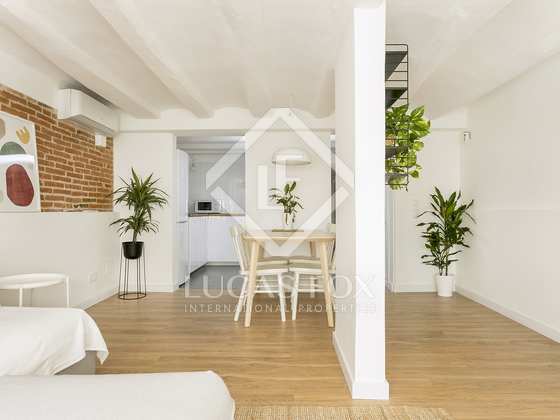 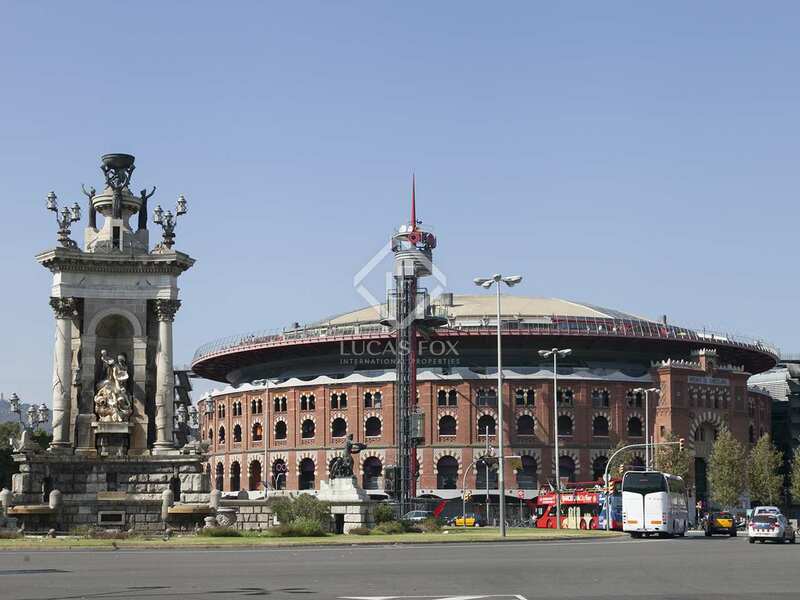 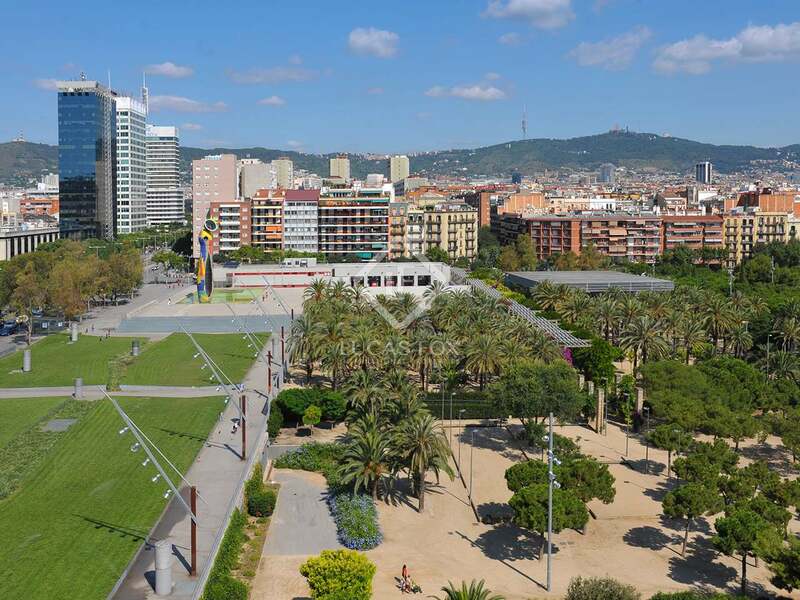 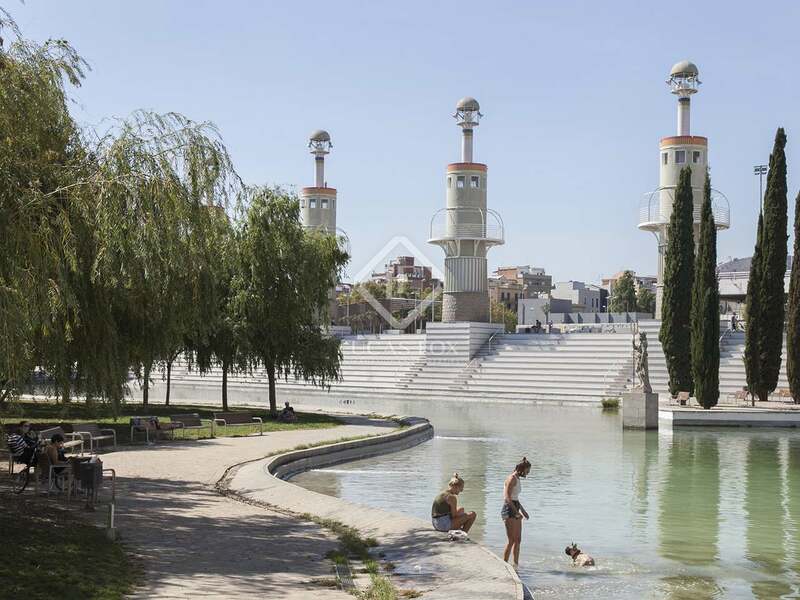 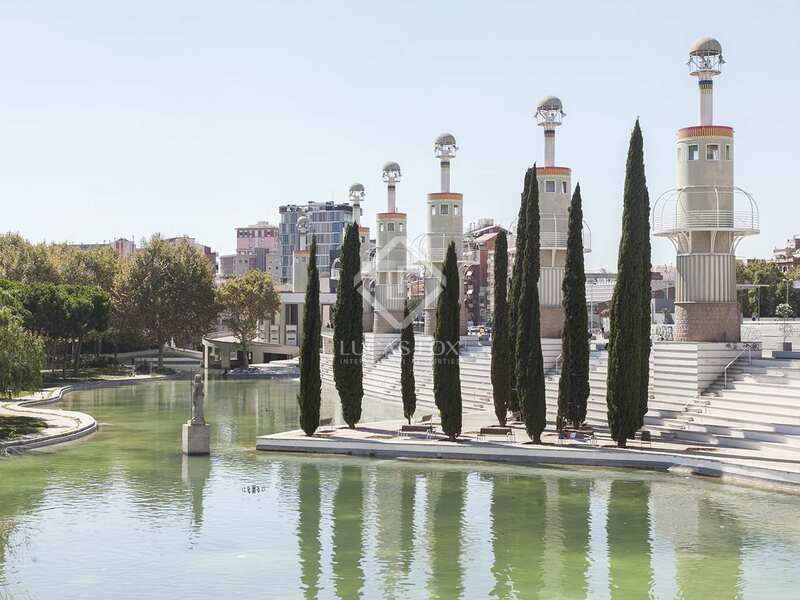 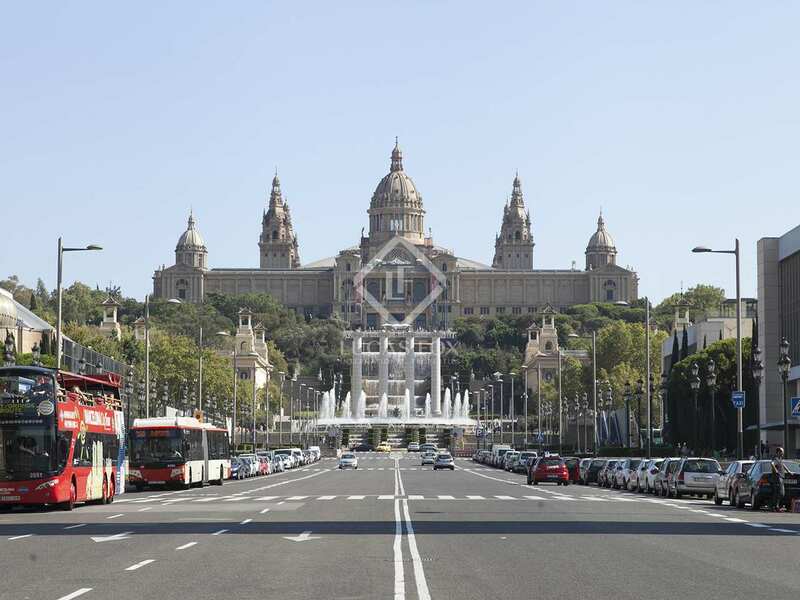 It also stands out for being a well-connected area, just 3 minutes from Tarragona metro station, 5 minutes from Barcelona-Sants train station and a 5-minute walk from Plaça d'España.